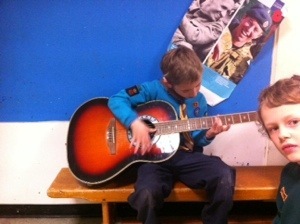 Music was the theme this week at cubs. After decrypting music codes Ben, our Young Leader, ran a Stomp session which involved some coordinated stamping, clapping and drumming on dustbins. 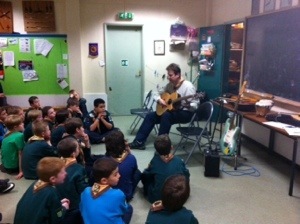 They then learnt about different instruments and rocked on with some very loud electric guitars!